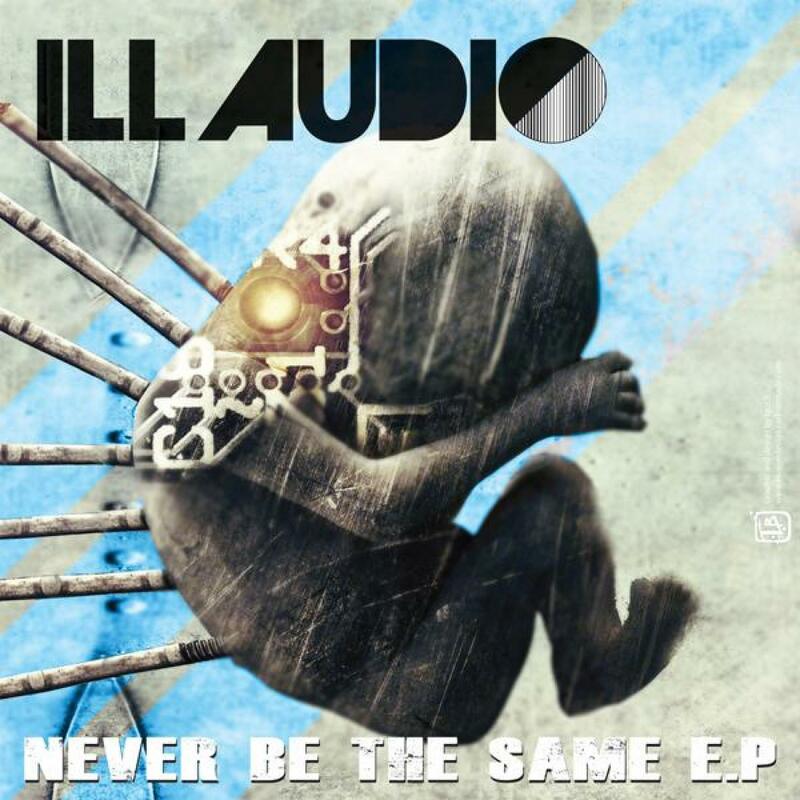 "Never Be The Same EP"
iLL Audio returns to Distinctive for his second single with the label, issuing a round of hard hitting power-moves in the form of his 4-track EP, titled 'Never Be The Same.' Featuring the unequaled vocal talents of Skin (Skunk Anansie)and a huge remix from DnB topboy Rollz, this is a startlingly accomplished release from a producer who's at the start of his game. The title track is a diverse drumstep monster. The track plays out with all the drama of a rock track, initiated by building chords and rolling percussion with Skin's vocal twisting and morphing until the drop. Crashing cymbals and huge riffs are convoluted with super-tight dance production, soaring synths and a burgeoning momentum that carries Skin's meaningful lyrics to dizzy levels. Up next is iLL Audio's second original on the release, titled 'Remedy.' It's a furious collage of styles and moods, incorporating dark arpeggios, bleepy dubstep, 00's-era Hard Rock & breakbeat motifs, huge guitar riffs, ethereal vocal samples, dubbed-out chops and more. This opus has it all, showcasing iLL Audio's vast pool of influences. 'Riddle Riddim' is tough little back-room skanker. Dub and Ska are the true forces here, amidst waves of subsonic power-ups and cleverly weaved samples, creating layer upon layer of texture and sound. It's a superbly crafted future-dub record that utilizes the producers unique ear for contract, impact and balance in the arrangement to full effect. To finish the package, we're dealt the eagerly awaited remix from UK DnB producer Rollz, who has been rising steadily in the scene since his debut release 'Plugged In' made Zane Lowe's 'Hottest Records In The World' for 3 weeks running back in 2010. His offering is razor sharp and thunderous, propelled by battering beat patterns and heaving sub bass. The vibe of the original retains, and Skin's vocal is threaded in and around his unique melodic touches. This is peak time material that is screaming out to be played at dances for months to come. Never Be The Same: Written by R.Blake & D.Dyer. Produced by Rob Blake. Vocals by Skin. Remedy: Written & Produced by R.Blake.Vocals by Alicia. Riddle Riddim: Written by R.Blake & D.Bowskill. Produced by Rob Blake. Vocals by Dan Bowskill. Saxophone by Heather Hoyle. Remix & Additional Production on track 3 by Rollz.